Gravel hardstanding pitches of various sizes (max 9m x 9m) with 16amp electrical hook-up. 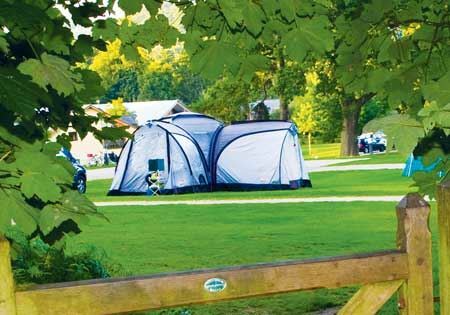 Pitch is suitable for a motorhome or caravan with awning. Your car, caravan/motorhome and awning must be contained within the pitch dimensions. You can see available pitch dimensions on the final booking page.